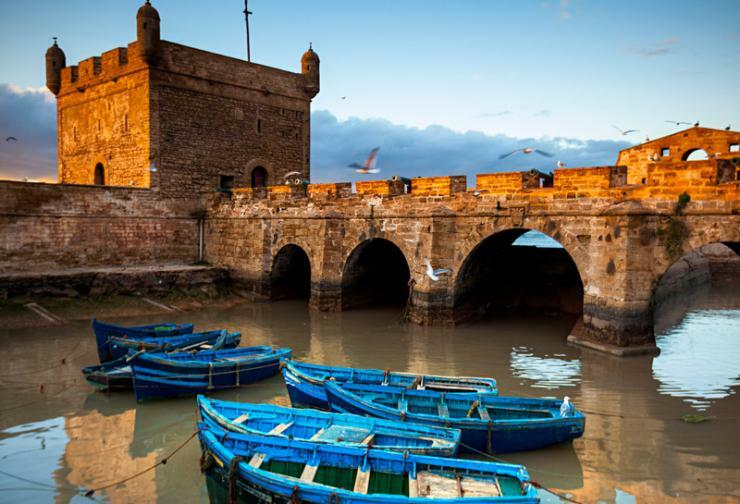 Arriving in Essaouira, you will be able to explore its secrets starting with the visit of the Portuguese fortifications dating from the 16th century. Behind these high walls lies the ancient medina, a UNESCO World Heritage Site. 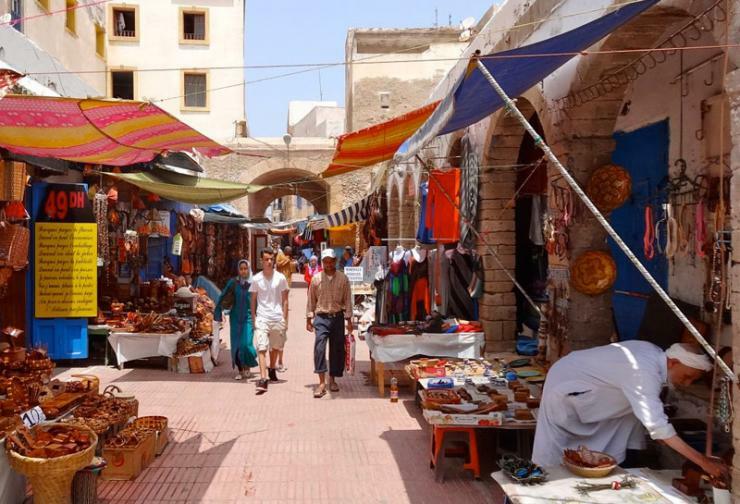 Walking through the narrow streets with white walls, shaded by blue doors and shutters, you will find yourself in the middle of the souk of spices, fish market, carpentry workshops and numerous art galleries and craft shops. 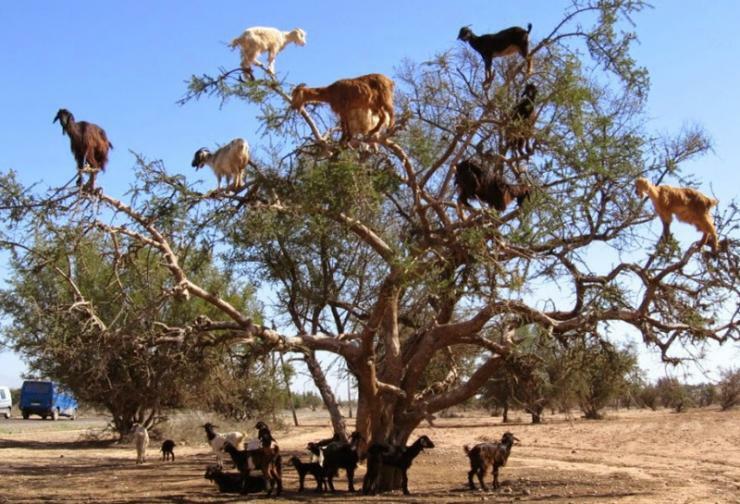 You will discover especially the two specialties of the city, objects carved out of cedar wood, and products extracted from the argan tree, endemic tree of the Moroccan Southwest. 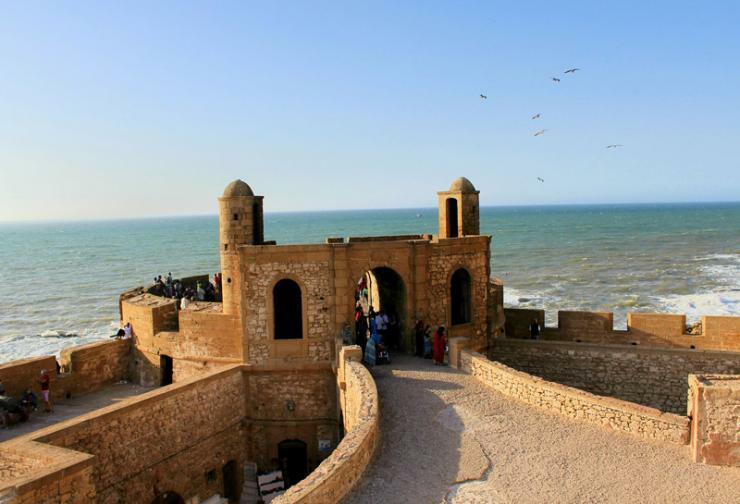 For history lovers, the museum Sidi Mohammed-ben-Abdellah, will give you an overview of the local history, exhibiting some objects of great rarity. 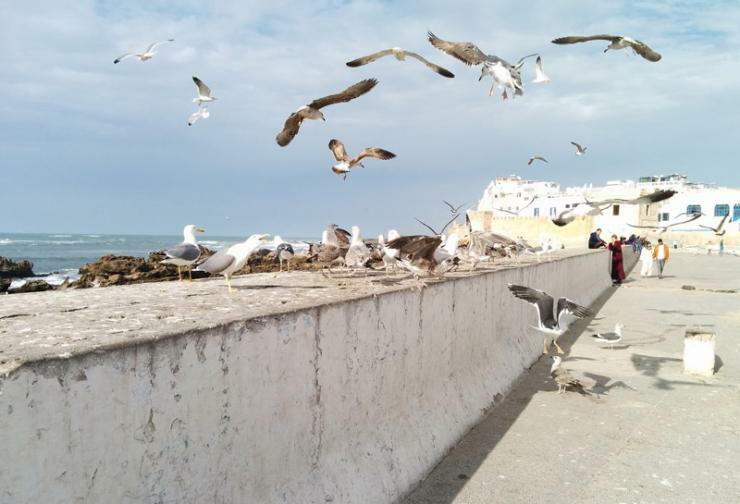 Along the top of the ramparts, which are a barrier to the strong wind of the Atlantic, you will find the Sqala of the port, where a magnificent view of the old fishing port awaits you. You can opt for one of the water sports that make the city famous. Such as surfing, windsurfing and kitesurfing. At lunch time, you can go to the old port, where stalls stalls freshly caught fish. All you have to do is choose your favorite fish to fry or grill. Recommendations: Hat, jacket and sunscreen, swimsuit, towel. An error has occured, Try again later ! Fill in all fields, please! You have exceeded the limit of attempts, Please try again later, Next attempt will be activated after 35mins. Accompany your project and your teams throughout the organization of the event. From the idea to the realization of the project.